Jim Duckett's sister knew something was wrong when she and his friends hadn't heard from him Sunday. When she went to his house the next night, she found something worse than she could ever imagine. Katherine Nichols likes to remember her brother for who he was. Jim Duckett was a horse lover, a soundboard when she was stressed, an amazing uncle to her children, a thorn in her side just like any younger sibling. She tries to forget her last memory of him, pushing away the visual of her baby brother tied to a chair in his bathroom, bloodied and tortured to death. 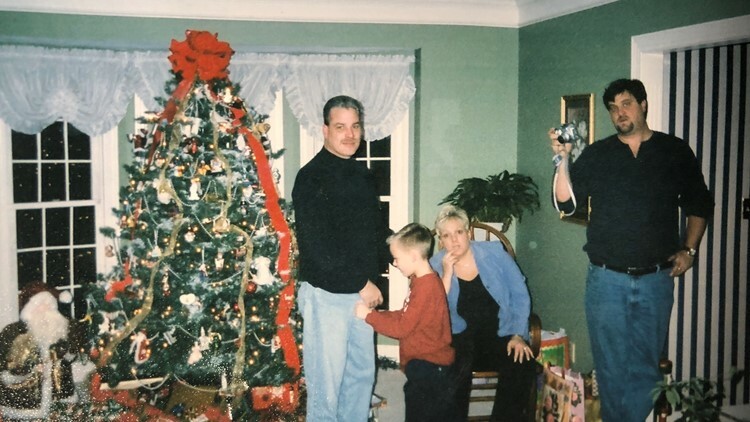 Duckett with his sister, Katherine, and her family on Christmas. After spending years in the military, Jim Duckett settled down in Shelbyville. A former crime scene investigator in Germany, he moved to be near his sister and her family. "He moved to Shelbyville because of me," Nichols said. "He moved here to help my husband and I with our children because of my work schedule." Duckett lived a quiet life. He owned a rescued a lab mix named Beau. By his sister's account, he was one of the kindest people she'd ever known. Around the time of his death, Nichols said she knew something was unusual. Duckett had mentioned wanting to move. His house had been robbed on Halloween, his jewelry was taken. When Nichols did not hear from her brother one Sunday morning, she became suspicious, calling his church friends to check on him. They told her he wasn't at service that morning — another unusual occurrence. She headed to his house, but his car wasn't in the driveway. “I knew then in my gut that something was wrong, so we went out to the house that night and we walked around the house," Nichols said. “I had the key to his house but I didn’t go in because I didn’t want my brother to think I didn’t trust him." Nichols went home, confused and unaware of what was beyond his front door. Jim Duckett with his sister, Katherine. By the next day, Nichols still had not heard back from her brother. She decided to go into his house, searching for answers. When she walked into the master bathroom, she found the worst answer imaginable: Jim Duckett was dead. At first look, Nichols was unsure what had happened. On the phone with her sister, Nichols told her what she saw, questioning if he had committed suicide. Then she saw his hands tied to the kitchen chair. “I remember screaming they murdered him," Nichols said. "I [took] off running down the hall and it's literally...a movie. The hallway just kept getting longer." Nichols called the police, and when they arrived, they confirmed what she already knew. Her brother was tortured and killed, tied to a chair and stabbed multiple times. “It's obvious that James was tortured. To what end, I don’t know if we can say at this point, but it was a very gruesome crime scene," Bernie Napier of Kentucky State Police said. Police said Duckett had been dead for "a while" before Nichols found his body. As the investigation into his death continued, investigators took DNA from the scene, hoping to get a lead. When the DNA came back two years later, Nichols said police told her it could around four months to get an arrest. It has been over 10 years, and Duckett's family still hasn't gotten any answers. 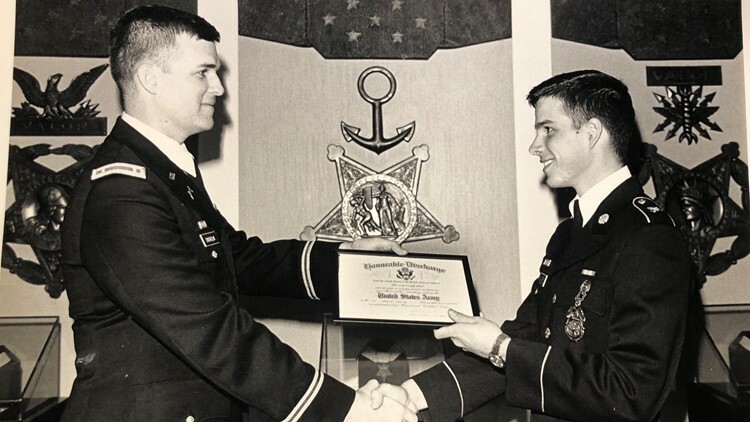 Duckett receives honorable discharge from the United States Army. Because of the brutal way Duckett was killed, police said they believe the murder was not random. "We think that the person or persons...sought him out specifically," Napier said. "We don’t think that this was a random act of violence that could have been anybody. We think that they specifically sought after James Duckett." During the initial investigation, police found that the killer not only stole Duckett's truck, but they drove it to his bank and used his ATM card to withdraw from his account. "His house is way out in the country and instead of going to any ATM, they drove from his house all the way across town to his ATM," Nichols said. "I mean you can go to any ATM and withdraw money, but they went to his." The ATM's camera caught the person withdrawing, but police said the picture was too distorted to make a connection. When police put out a look-out for Duckett's truck, they found it hiding behind office buildings just five miles outside his house. They took DNA, but nothing came of it. 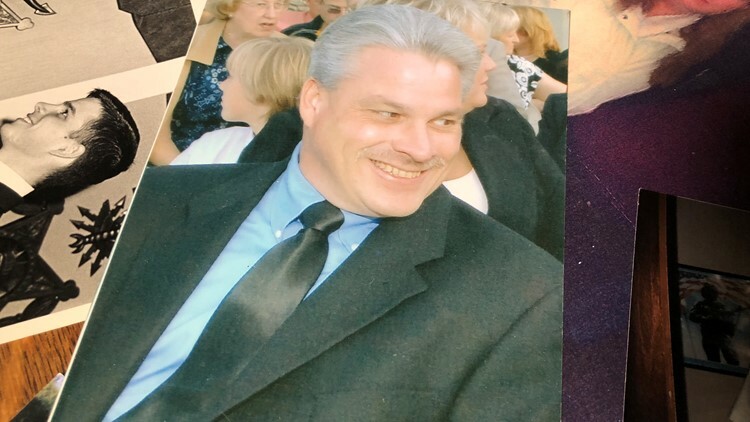 “We have tried to follow up on several leads, interviewed dozens of people trying to get to the bottom of this case, and so far it hasn’t really lead us anywhere to a solvable point in this crime," Napier said. Photos of Jim Duckett spread across his sister's table. Police still have binders of information, and continue to look for suspects and motives. Nichols said that the way her brother was murdered may lead people to believe he was involved with something bad, but she said he would never do something wrong. “I understand that people think he had to be doing something wrong or he had to be involved in something illegal because of the way he was brutally murdered, but he wasn’t," Nichols said. "He…was too kind. And I think that’s what got him murdered." Nichols said she believes the murder was revenge, and that people in the town know what happened. “They always say there’s three reasons for murder, and its revenge, greed or jealousy. His was revenge," Nichols said. "There are people in this town that know -- they have information and they won’t come forward. That's what kills me." 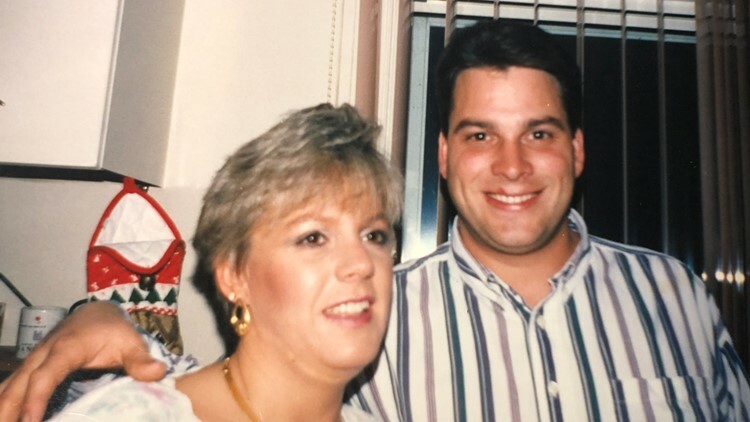 Her brother's death has, rightfully, changed Nichols' life. She created a group for family and friends of those who were killed, Kentuckians' Voice for Crime Victims, and continues to work to find answers. She said she continues to think about her brother, desperate to get closure. Duckett's killer has walked free for ten years, far too long for Nichols. Police said they know time and technology is on their side, and they hope they can make that call to Nichols, giving her the closure she needs and bringing the killer to justice. “To be able to call his sister and say we [arrested] the person or persons responsible for this would mean the world to us, and I know it’d mean the world to her as well," Napier said. Nichols said it's been long enough. Offering a $25,000 reward, she asks that people do the right thing and give information to give her family peace. "It's time for justice. Jim didn’t deserve this. My family doesn’t deserve this. My children didn’t deserve this and I sure didn’t deserve this," Nichols said. Jim Duckett's case has been unsolved for over 10 years. People with information that could lead to his killer could receive a $25,000 reward. Anyone with information is asked to contact Kentucky State Police Post 12 at 502-227-2221. Get a Behind-the-Scenes look at Jim Duckett's story here.